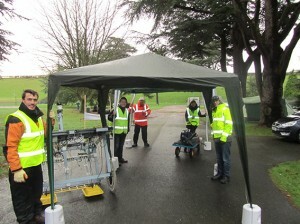 A one-day seminar and exhibition was hosted by the Mapping the Underworld (MTU) Team at the Ordnance Survey Centre, Southampton, on 12th December 2012 to showcase its research into the creation of a multi-sensor device to detect and map buried utilities. The project’s findings were presented alongside national and international developments in the area. The day presented an opportunity to explore several initiatives that seek to make streetworks safer, more effective and more sustainable. The event covered UK, European and American perspectives of the challenges and latest advances in remote technologies for pipeline and cable detection, location and mapping. This appealed to a wide range of stakeholders who have to deal with buried utilities, from those who commission and carry out streetworks, and those who seek to maintain standards and regulations for such works, to those researching and developing cutting edge geophysical and mapping technologies. The event proved a great success, attracting more than 120 delegates. Sitting alongside speaker presentations was an encouragingly extensive and busy exhibition, with exhibits on new market products and services from companies such as OXEMS (which has commercialised remotely detectable asset RFID tags deriving from research in the first phase of MTU’s research programme), Cardno TBE, JK Guest and the MTU Centre of Excellence. The core dissemination aspects of the event were a series of presentations by the MTU Team. The first of these brought delegates up to date on advancements in its four sensor technologies – Vibro-Acoustics, Low Frequency Electromagnetic Fields, Passive Magnetic Fields, and Ground Penetrating Radar. The presentations focused on the results obtained during field trials using the MTU Mobile Laboratory, in which the technologies are co-located on a single cart. The final stage for the project is to enhance and refine the sensor data fusion and data integration (with utility records and databases of the ground properties) to allow greater clarity and accuracy of utility detection and location. Another highlight was a presentation by Jim Anspach (Chair, ASCE Utility Committee and ASCE Codes & Standards Committee) entitled ‘America’s MTU – Advances from the USA SHRP Program’. In his presentation Jim reinforced the message that a UK standard is important to the future of the industry, not just nationally but internationally, but equally that this is not the first time such a standard has been attempted and its success is by no means ensured. Jim also highlighted how far the US has travelled down the road of research into finding buried utilities using non-invasive means, the initiation of which he credited to the close relationships formed with the MTU Team. Dr Mike Farrimond (Past President, European Water Platform and Ex-Director, UK Water Industry Research) gave a presentation on the European Perspective. He outlined the progress being made across the EU and how the MTU project was at the forefront of these developments. Professor Tony Rachwal (Surrey University and Ex-Director of Research, Thames Water) gave a presentation entitled ‘A Body Scanner for the Street – The Fit to UK’s Water Needs’. This term was first coined by Tony at the “Street Wise” workshop in 1996, and came from the industry need to know what was in the ground, where, in what condition and managed by whom! Tony summarised his presentation by saying that we have devoted vast amounts of time and effort to research so that we can assess the condition (diagnose illness) and prevent failures in the body, and indeed it is relatively easy to work on as we know where most of the “pipes” should be. However if we want a healthy body of networked infrastructure under our streets, that is somewhat more difficult; first we need to understand what the buried networks look like and then we need to determine the health of the pipes and cables, and the medium that supports them (the ground). All this requires a particular vision. MTU is providing this vision, and the body scanner in the street is taking shape in the form of the multi-sensor MTU device; however the Underworld Patient needs much more attention before we can be sure that it will develop a healthy life cycle. Concluding remarks were delivered by Chris Rogers. The day had demonstrated that there is a clear desire from the MTU team, but also from industry, for the MTU project to succeed. It sits within a suite of complementary initiatives, the benefits of which, to industry and the environment, are potentially extraordinary. 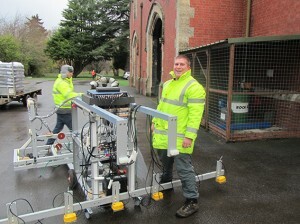 With time we hope to see these cutting edge technologies delivering further tangible results in the murky underworld of site surveying, buried utility health monitoring and far more sustainable streetworks. A zip file of the presentations delivered at this event is available by clicking here.